We recognize that you work hard building a business. The day-to-day operation and running of your business takes all your time and is the primary area of your focus. For that reason, when a business dispute arises you want an experienced business litigation attorney handling your legal matter. At Austin Carr Law Office, he assists business clients throughout South Florida resolve business disputes in a professional, cost-effective manner. He will sit with you and discuss the issues and your goals. He will then develop a legal strategy designed to best achieve your goals. Finally, Austin Carr will handle all the legal aspects of your dispute, keeping you as actively involved as you wish, but providing you with the accommodation of being able to focus your efforts on growing your business. Been cheated? Been the victim of dishonest or unscrupulous business dealings? Defrauded? 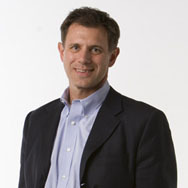 Business litigation attorney Austin Carr has over 25 years of experience handling business disputes. He is a Board Certified Civil Trial Law Specialist with extensive knowledge regarding a variety of business litigation matters and dispute resolution venues. For additional information about our credentials and qualifications, please visit our Why Hire Austin Carr? page. For professional legal assistance to resolve your business dispute in an efficient and cost-effective manner, please contact business litigation attorney, Austin Carr. He offers a free confidential consultation to discuss your business matters. Let Austin Carr handle your legal issues so you can focus on your business.